I hope everyone had a great holiday. We just released our 5th major version of Manage It. There will be many new things to report in the upcoming weeks as we push out new features for you. 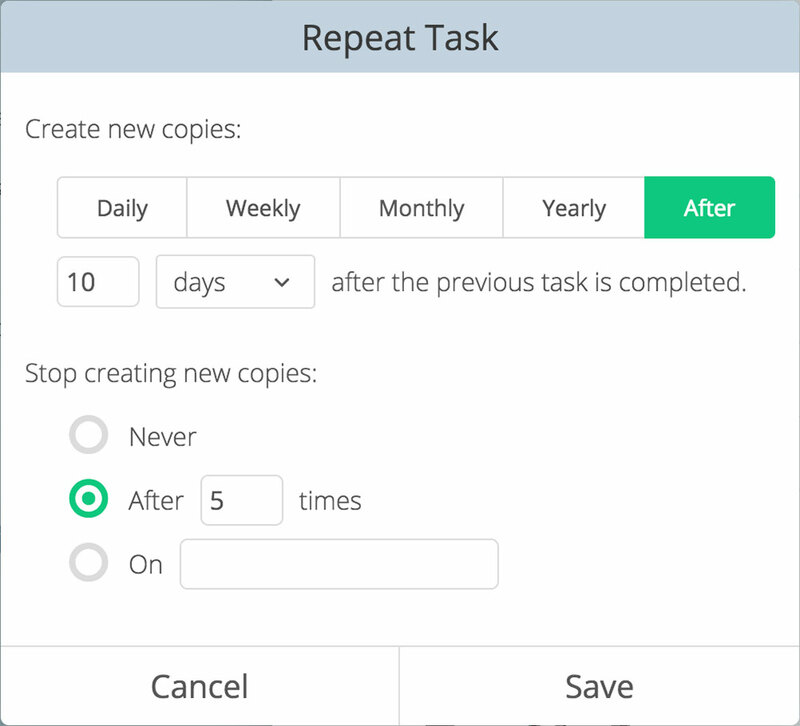 You can now use Manage It to create repeating tasks. Create the task "Take out the garbage" and repeat every Wednesday. Create the task "Wash the dog" 10 days after you complete the previous task. Create the task "It's my birthday" on April 2nd of every year. Create the task "Check email" and repeat every day. To make a task repeat, just click on the task then click the repeat button, this will open the Repeat Task dialog. 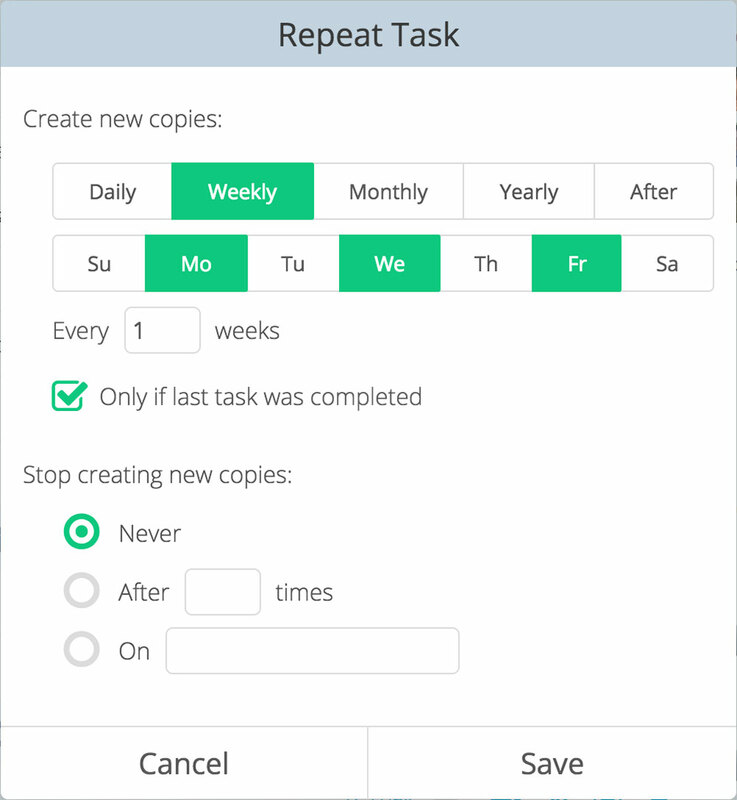 You can also create repeating tasks, daily, monthly, and yearly by clicking the button at the top of the dialog. 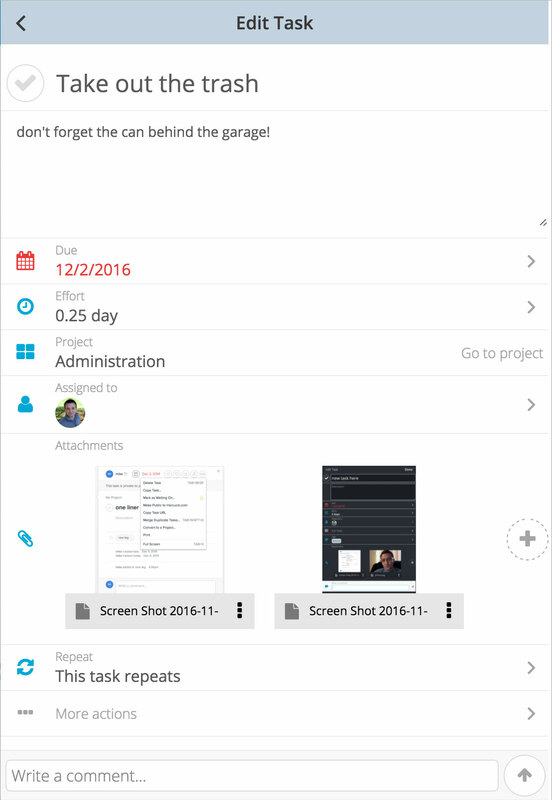 We hope that we make you just a little more productive with everything we are improving in the app. As always, we look forward to hearing your feedback and suggestions!